Surefire lights and Weapon Lights are the finest we have found anywhere. They seem to have a flashlight for everyone. All Surefire Flashlights are made in the USA and are top quality. This new model, the Surefire Vampire light, has a built in Infra-red and White LED. The Vampire” refers to the night vision you get with the IR light. Benchmade Knives offers their Gold Class series for the collector/investor. They are very limited in production and really excel in craftsmanship, materials and design. 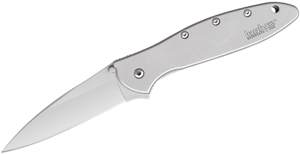 This new one is based on the classic BM940 series– always a favorite because of the sleek lines and great action. It has their top quality Damasteel blade and a really well designed handle. The long awaited Surefire Saint Minimus has finally arrived! Variable brightness (up to 100 lumens), multiple modes, and waterproof up to 1 meter under water- what else could one ask for? Surefire took all of these features (and more) and squeezed them into a 3.3 ounce headlamp. You’ll have to see it to believe it. *Update- This item is no longer available. 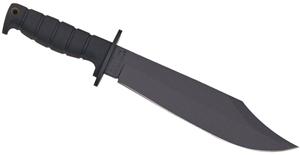 We hope to see more of the standard DPx HEST knives soon. The HEST knife sold so quickly when it first appeared at the Knifecenter that we never had to clear a spot for it on the shelves. Whether it is the RAT name, reasonable price, or due to its lightweight, multi-featured design, it appeals to backpackers, survivalists, weekend warriors, collectors, and scouts. Though the standard HEST is currently out of stock, fortune smiled upon us when the Limited Edition HEST appeared at our door. Only 250 of these serialized knives have been produced, and for a limited time one of these collectibles can be yours. Act now because at only $10 over the cost of the original HEST, these unique Pelton designed knives won’t be here long. Kyocera is the world leader in ceramic housewares. They offer a whole variety of top quality products and we are proud to offer many of them. This is their folding pocket knife. It is well made and made in Japan- where the cost of manufacturing is actually higher than it is in the US. It is not made in China where virtually all of the rest of the ceramic home products are made. The Stretch is a medium to full size folder with a stylishly designed handle and blade. 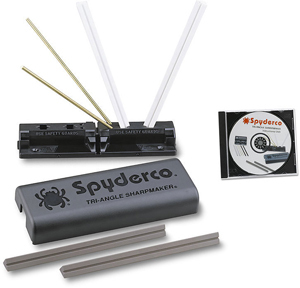 Solid ZDP189 steel blades will give months of use between sharpening. The Stretch’s textured blue FRN handles are lightweight and strong. The lockback system gives a very reliable lockup.